Kushana Bush (b. 1983) inhabits a singular position within contemporary New Zealand art. 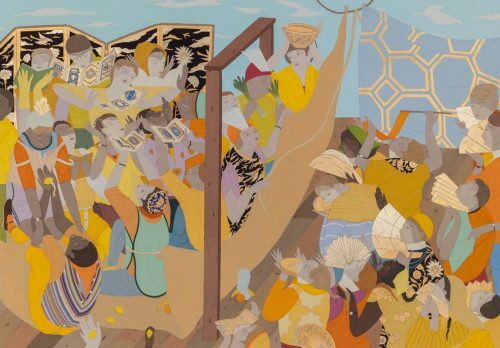 Reaching across history, culture and society, her meticulously detailed compositions, multi-ethnic characters and open-ended narratives combine to create a unique visual language. It is an approach that has attracted significant attention for this Dunedin-based artist, drawing audiences into the complex choreography of her world. 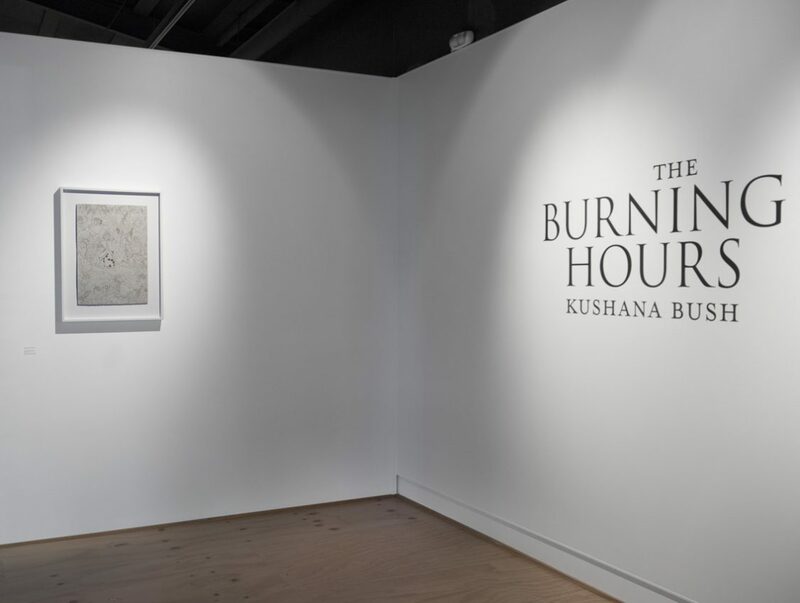 The Burning Hours focuses on paintings produced from 2014 to 2016 – years that mark a significant compositional shift in Bush’s practice. 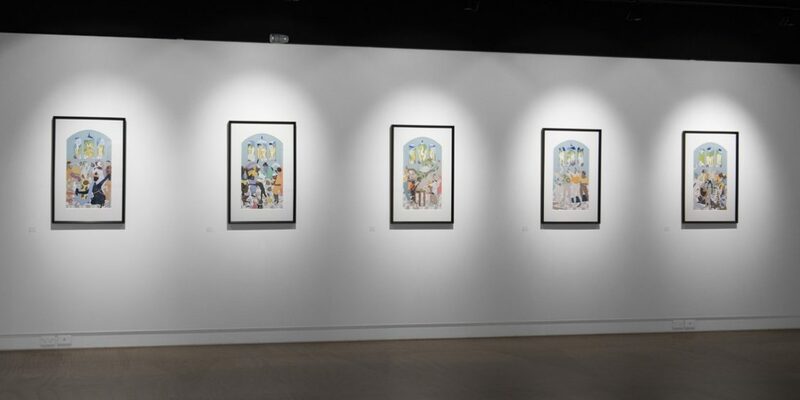 Her early works positioned the subject matter in the centre of the page – hovering within the image field as a way of isolating and highlighting what was important. 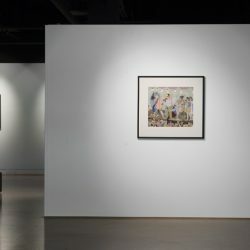 In contrast, her most recent works see the central image reaching out to consume the entire picture plane, a configuration that was first tested in Untitled (drawing). The inclusion of horizons, landscapes and architectural structures bring the narrative to the fore, and anchor the figures in a more realistic pictorial space. 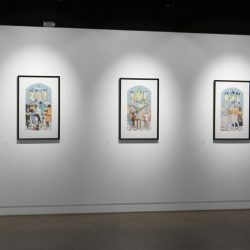 This new body of work is rich with detail – each surface, of gouache and gold, is filled with references to illuminated manuscripts, Persian miniatures, European art history and modern life. These disparate sources bind Bush’s works to both the past and the present; the historical and the contemporary. 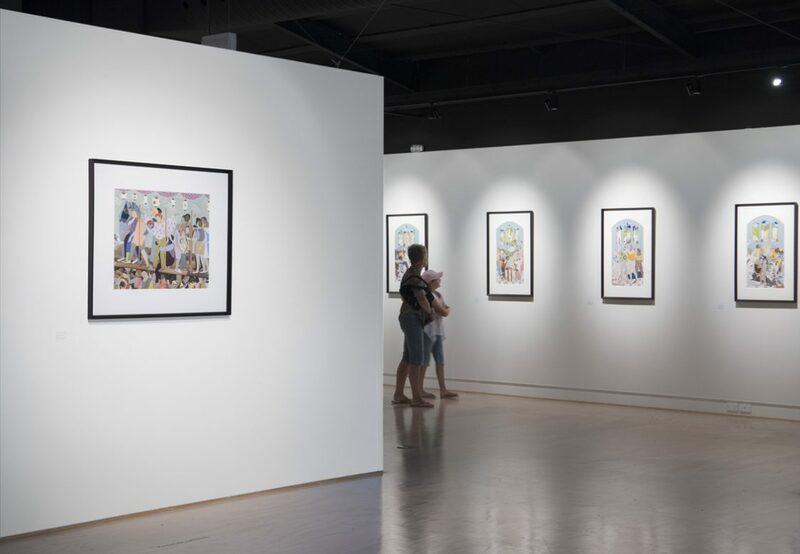 Human interactions, humour, dramatic tension and intimate scale are her tools to draw viewers into a private conversation and, in some cases, a spiritual space. 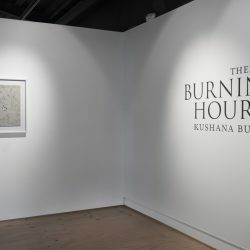 This sense of a spiritual space is the cornerstone of the body of work presented in The Burning Hours – a title that pays homage to the medieval illuminated manuscript, ‘The Book of Hours’. 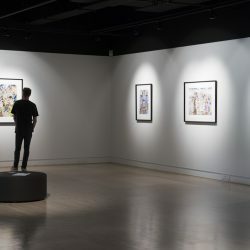 In 2014 Bush visited the Chester Beatty Library, Dublin, where she viewed illuminated manuscripts, miniatures and decorative arts from Islamic, East Asian and Western traditions. This experience was the closest thing to a spiritual event that she, as secular individual, had experienced. 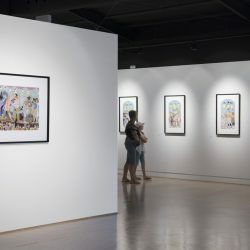 With her source material extending from thirteenth-century manuscripts to twentieth-century painters (including Stanley Spencer), Bush is interested how religious themes blend with secular narratives, often manifesting in ritualistic violence. 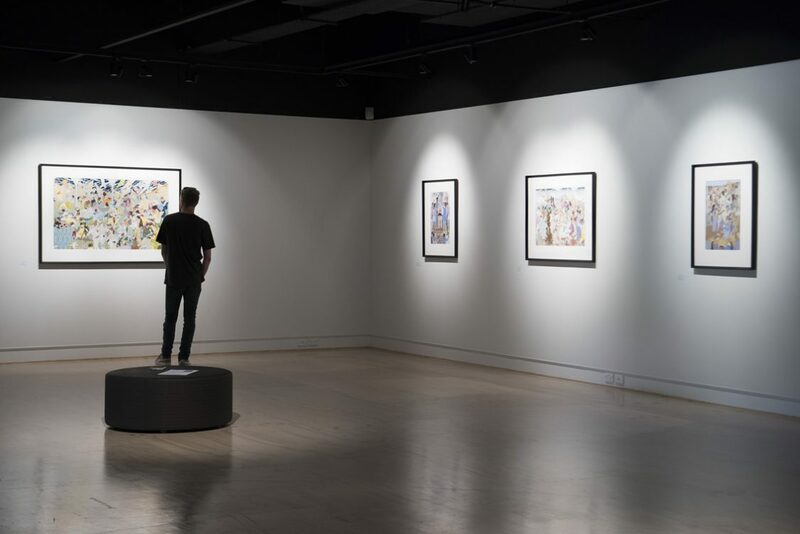 This interest is permeated by Bush’s enquiry into grand narrative constructions, resulting in a series of works that examines what spirituality, ritual and community might mean in a contemporary world. Developed and toured by the Dunedin Public Art Gallery.